Ran the roads from Joel's Dad's house in Connecticut. Really enjoyed this run for some reason even though it was cold and 100% on pavement. Nice climbs in and out of the Farmington River valley. About +10F and snowing. Just a quick road spin in the morning before we drove down to NYC for the film screening that evening. 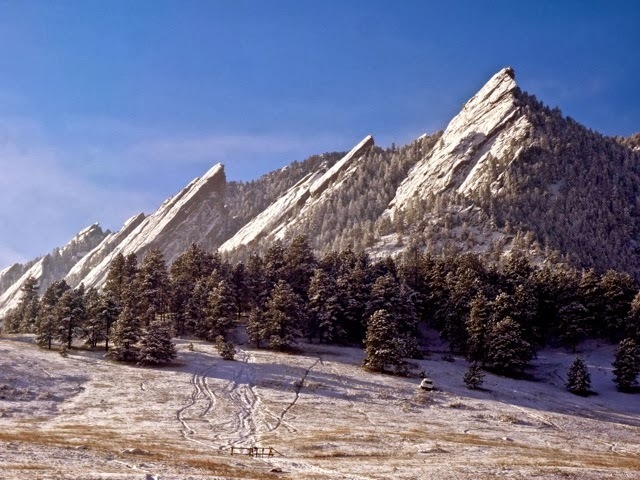 Had an early morning flight back from NYC, so when I got back to Boulder I immediately headed to Chautauqua with Joe to revel in the stunning +60F weather. So good to be back in the mountains, grunting up steep hills, in the evening light. From my apartment, then the usual loop up Fern, down the West Ridge, and then up and over Green. Still nice and warm in the morning. Same exact run as yesterday except that I finished by descending Flagstaff. 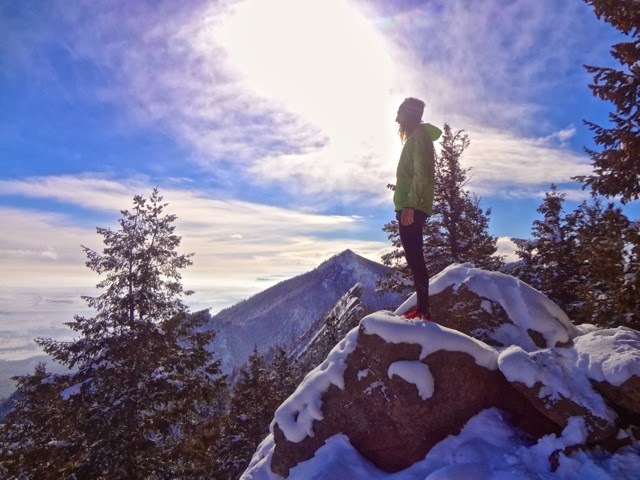 Also, there was an awesome inversion layer of clouds that I climbed out of at approximately the Nebelhorn in Fern Canyon and then descended back into while coming back down Flagstaff Mt. Flew to Seattle in the afternoon. With Martin. Parked at the schoolbus turnaround (I think) and ran up to the Kamikaze Waterfalls and then marched up the super-aesthetic SW ridge of Teneriffe on a fantastic goat path. Such a perfect line. 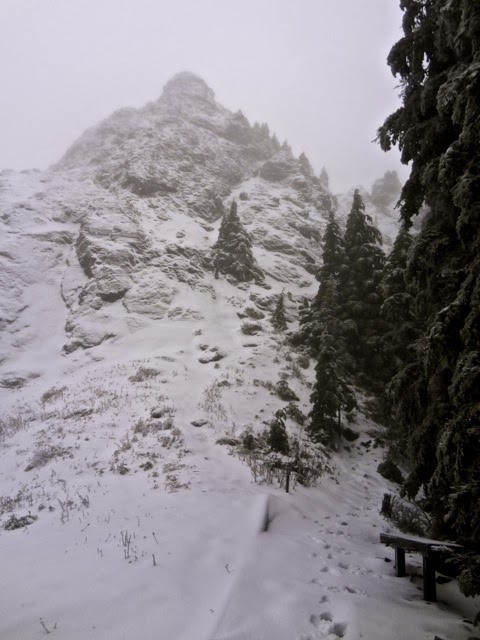 The last couple thousand feet of vert had snow on it with some real postholing near the ~4800' summit. I was surprised at how sweet the summit was; big drops in all directions. Descended pretty blindly down through the snow and trees and fog trying to hit a certain logging road. Eventually found it and commenced the shin-deep snow slog over towards Si. We ended up missing a turn and descending the logging road an extra 500' of vert (and 25min or so) but eventually realized our mistake and made our way back up and over to Si, another surprisingly aesthetic summit, but not much to see in all the clouds. The descent down the super-popular Mt. Si trail back to the road was a total shred-fest, so smooth and a perfect grade for running hard. Ran the extra mile+ on the road back to our car to finish off the outing. Longest run I've done since UTMB and I came away with a much greater appreciation for the Seattle area's mountain offerings. Group run from the Fleet Feet store. Went all over the city, connecting all sorts of great little pieces of trail and hitting Pioneer Park, Volunteer Park, and the Arboretum. I think. Classic foggy/misty weather. I had an extra 30min or so of running getting to and from the store from my hotel. Really solid week, especially considering all the traveling. I'm still just trying to find a rhythm in my training again, but it's great feeling that at least the energy is there to do it. I'll admit, I ended up being a bit surprised by Seattle. I was treated to the classic misty/foggy gloom of winter there, but I was very impressed with the mountains that are available not unreasonably far from the city center. Back when I was first inspired by ultras (the late 90s and early 2000s), Seattle was this almost mythical place in my mind where it seemed all the sport's best lived and trained. 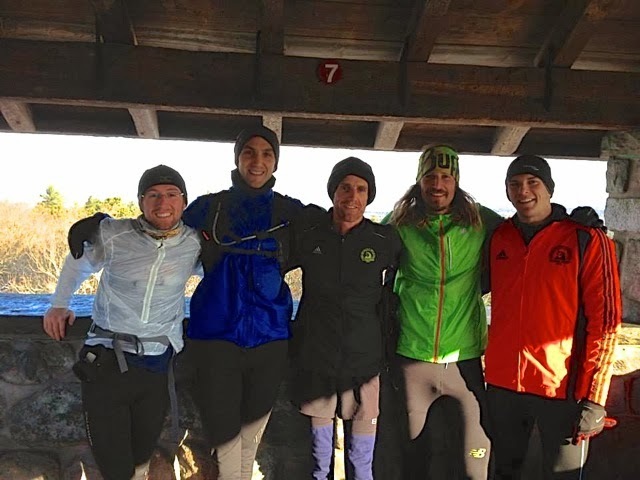 Jurker, Hal, Torrence, McCoubrey, Uli, Kochik, the whole Seattle Running Company scene, etc., etc., etc….in high school I would read about Scott doing repeats on Mt. 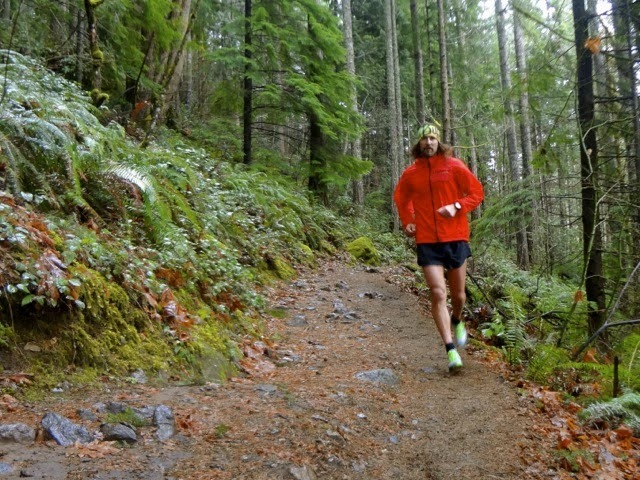 Si or traversing the summits of Tiger in preparation for Western States and it would fuel my curiosity for the sport. 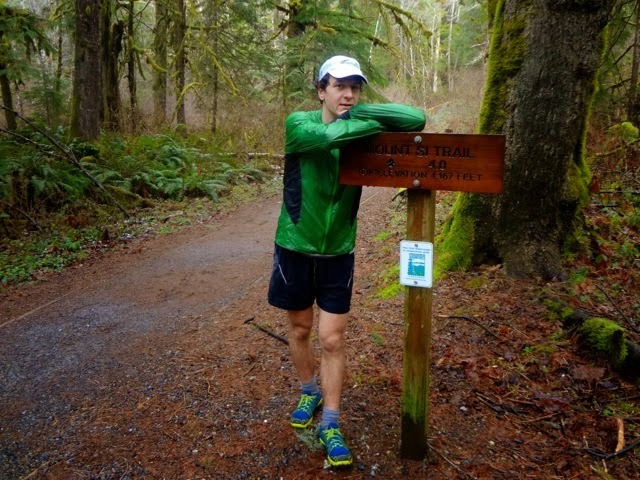 What could it be like to do a 35mi/10,000' training run? As such, it was pretty cool to finally get out there and see some of the hills and paths myself. It seems like the Cascades themselves really deserve some attention during the summer season as well, at some point. Heublein Tower on Talcott Mt in Connecticut from last weekend. Photo: Joel Wolpert. Metacomet Trail on Talcott Mt in Connecticut. Photo: Joel Wolpert. NYC Subway. Photo: Joel Wolpert. Martin postholing just below the summit of Mt. Teneriffe. Martin on the summit of Teneriffe. 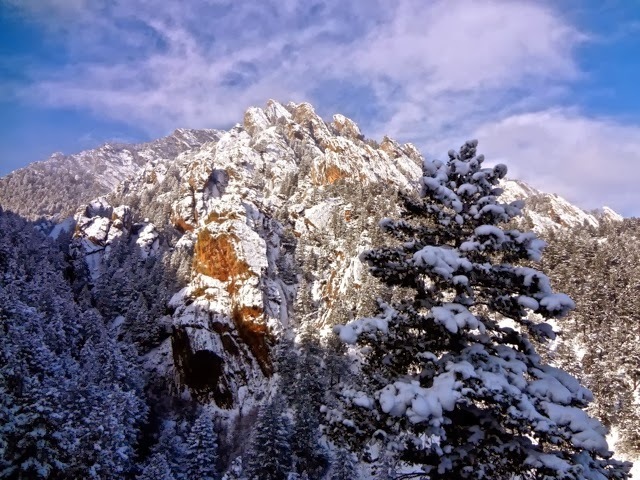 The "haystack" that makes up the summit of Mt. Si. Descending the idyllic standard Mt. Si trail. Martin super-psyched to be at the trailhead after suffering an epic bonk. Ran from Chat with Joe. Up Fern, down the West Ridge of Bear, and then up and over Green before completing the loop. Great day out in perfectly-packed snow conditions. Same exact run as yesterday with Joe again, but today the wind had blown in all the trails making for pretty miserable footing the whole way. Warm enough to be out in shorts, though, which was a treat given the past week-plus of frigid temps. Ended up being a day off after an early flight and long day of travel. I was okay with that as my achilles has been a little tight. Parked at the lodge and did an out and back on pretty deserted dirt/snow roads. +8F temps. 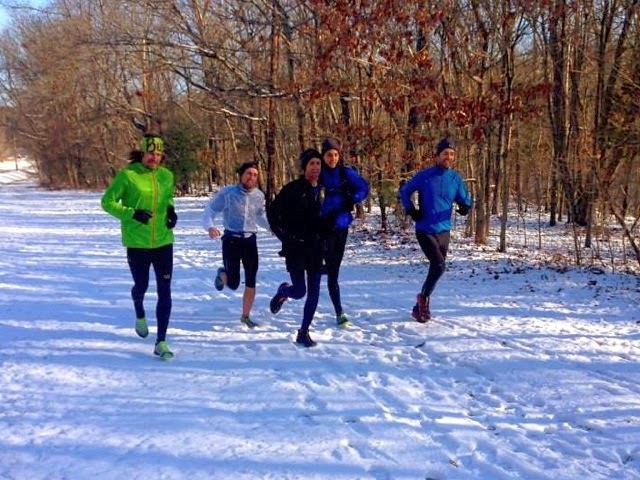 Slippery snow was tough on the achilles and soleus. Met up with Mike, Seamus, Josh, Eric, and Sam for a spin around this trail system near the city. Snow, cold, and icy but lots of fun with enthusiastic tour guides. 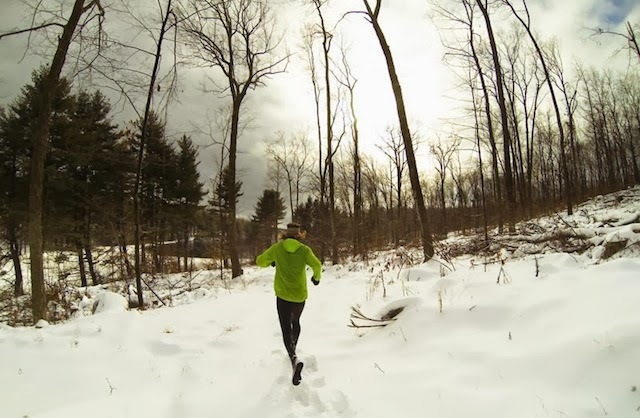 Ran some streets and snowy trails with Joel. Achilles seems to be feeling a bit better, which is nice. Cold and snowing. Out and back on the Metacomet trail starting from Reservoir #6 and going past the Heublein Tower on the way to Highway 185, and back. With Joel. Plowing/postholing through ~8" of fresh, crusty snow. Fun outing. Decent week, considering being on the road. My body seems to be re-adjusting to being a runner again---various familiar aches and pains are working their way through---and all this time away from home has me more motivated than ever to get back and get into a fitness-building routine. I'm really really excited about 2014. Having said that, I'm almost always pleasantly surprised by the running options I'm offered when I'm on the road, and this past week I enjoyed getting a small taste of what the northeast has to offer. After this trip, my interest in the Mt. 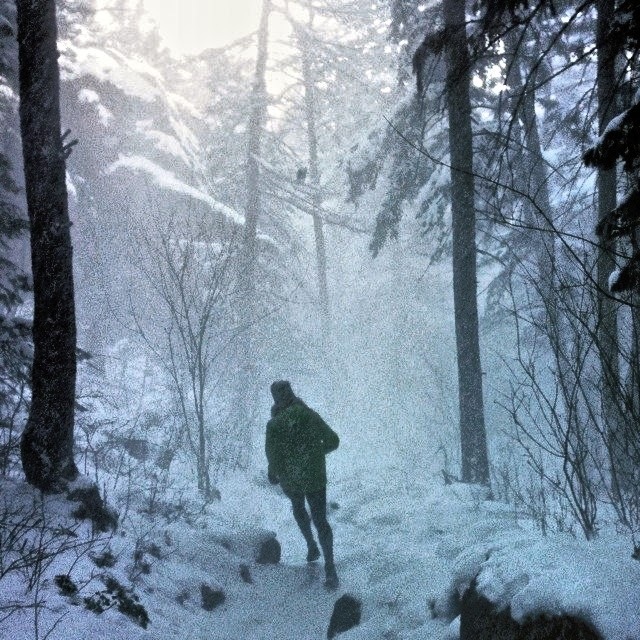 Washington Road Race and a Presidential Range Traverse in New Hampshire is certainly piqued. 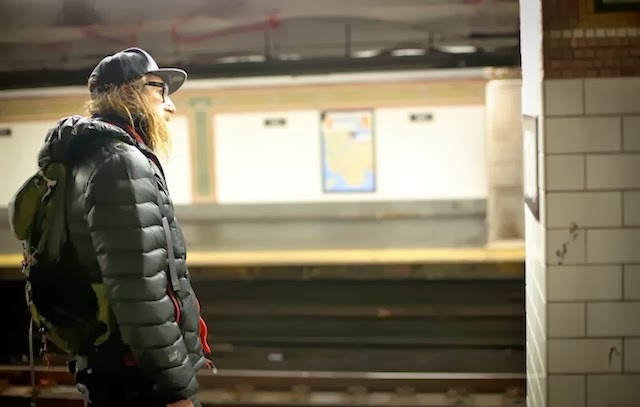 Before I can really get into a consistent routine, however, there are two more stops I need to make: Tuesday evening at the Symphony Space in Manhattan, and next Saturday and Sunday at Fleet Feet in Seattle. Should be good. 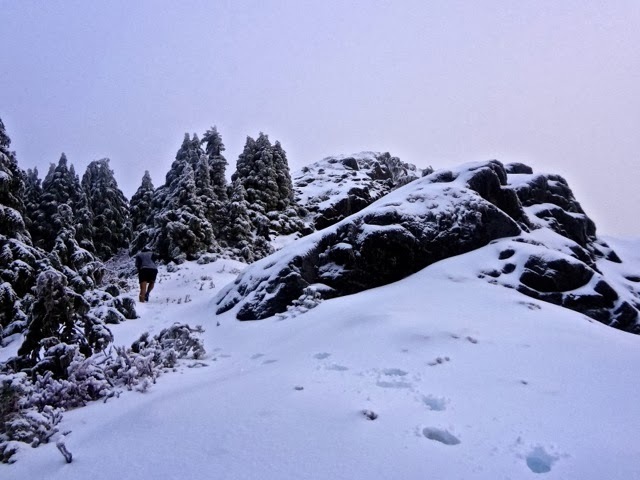 Finally, I need to mention a congratulations to Dan Kraft for a break-out 4th-place run on a big stage at the TNF50 Championships last weekend. Dan is the latest promising MUT runner to come out of Colorado College (my alma mater) in the last few years, following on the heels of Alex Nichols and Stevie Kremer. Alex and Dan have both paced/crewed for me at the Leadville 100, and Stevie was the same year as me at CC. 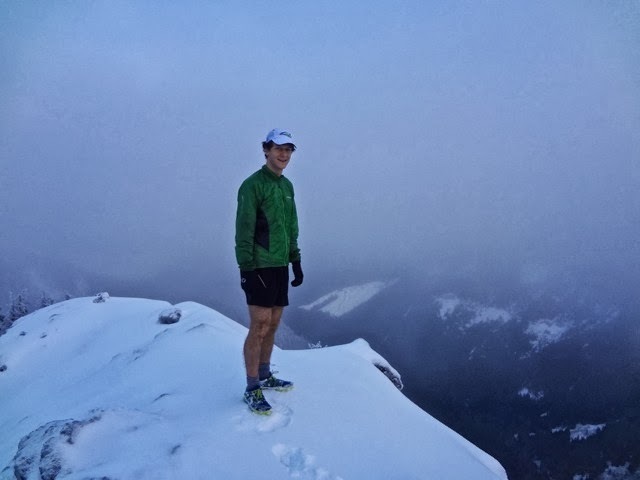 Dan had previously had impressive runs at the Imogene Pass Run (17mi) and Bridger Ridge Run (20mi) in both 2012 and 2013, so it was super cool to see him flawlessly step up to the 50mi distance. It looks like XC Coach Ted Castaneda's Monday mountain runs have had a lasting impact on more than one runner. Descending Green Mt on Monday with Joe. Photo: Joe Grant. Boston jaunt in the Blue Hills Friday morning. Photo: Sam Jurek. Top of the run with the full crew: Mike, Josh, Eric, and Sam (and Seamus behind the camera). Headed back to the car. Photo: Sam Jurek. Out and back on the basically flat trail that goes up the Canyon. Still clearing some congestion out of my sinuses and still mostly deaf (ear infection that caused blisters on my ear drums), but I could tell that the run wasn't doing any harm. Just a loop up the canyon and back up over the hill. First foray into some vert felt good. I love running. Took the back way up Sanitas in the -5F temps and fresh snow and then finished up with a big loop on the streets to extend the time. I forgot how much I love running in winter. Ran to Chat and then up and down the mountain. More cold weather and snow, tons of fun. Another lap on Green, pretty much exactly the same as yesterday except the route was a little more packed. Up the mountain and then down Bear Canyon and back to Chat before running home. But these inversion layers make it super cold after descending the mountain. Exact same run as yesterday but it was noticeably warmer than the last few days at +12F. Funny how 15 degrees can make things feel so much more comfortable. Such a relief to start back running this week and finally feel that my legs are back under me for the first time since UTMB. Running is so much fun. The Hardrock lottery on Saturday was, of course, a disappointment for me---I'd be so psyched to join that field at the front---but so it goes. As such, my 2014 plans have solidified a little more. 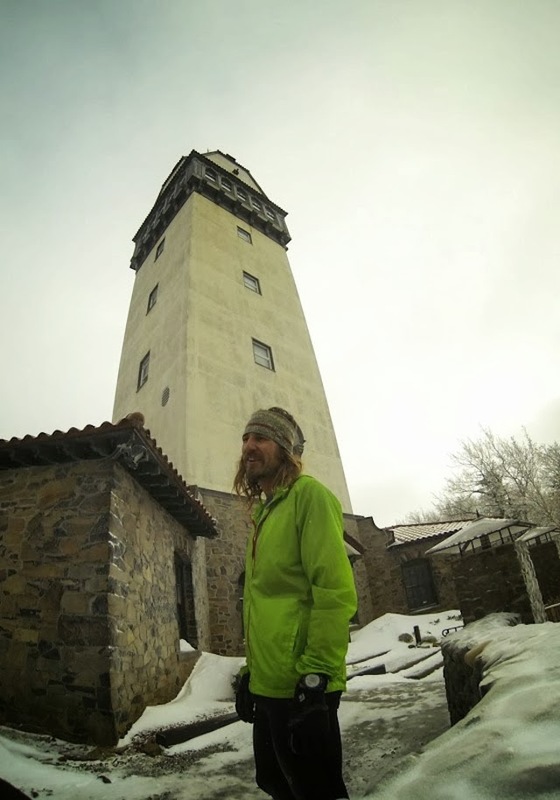 I'm planning on heading out to Moab in February for the early season classic Red Hot 55K as a tune-up before the 125K Transgrancanaria on March 1st. I haven't decided about April yet, but I very much expect to race Transvulcania in May, maybe Zegama, and then probably another crack at Nolans 14 in June before Speedgoat and UTMB in July and August. TGC, Nolans, and UTMB will be the focus efforts for the year. Click the links for ticket information.